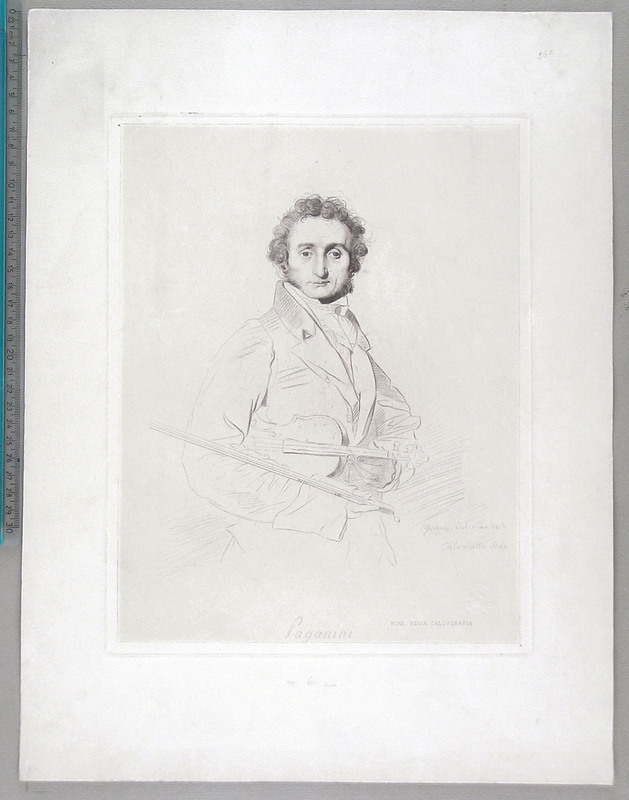 Engraving, after Ingres. A very good posthumous impression of the final state, with the address of the Regia Calcografia, Rome, and its blind stamp, which has been used until 1947. Printed on thick and soft wove paper, with wide margins, generally in very good condition. To the platemark 312 x 245 mm, the entire sheet measuring 447 x 340 mm. 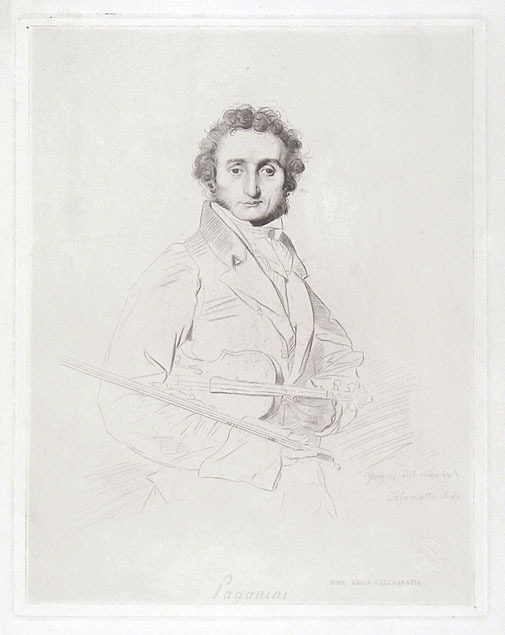 This print is certainly one of the best known images of the great violinist.